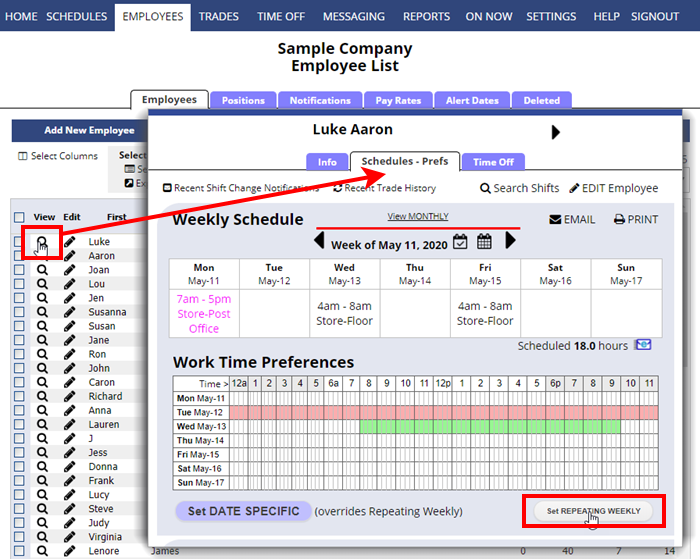 Note that employee work time preferences do not affect any already existing shifts – they can just be used the next time you AutoFill to automatically assign shifts. You can use the Analyze feature at any time to compare how the assigned shifts compare to the current work time preferences. Also, the preferences can be used when finding replacements for shifts. 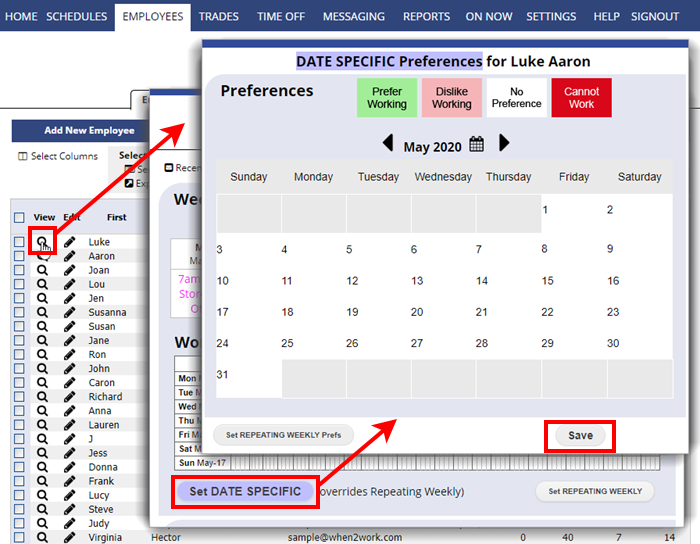 After setting the Weekly Repeating Preferences for an employee, you can then set any dates that have different preferences using the “Set DATE SPECIFIC Prefs” button.